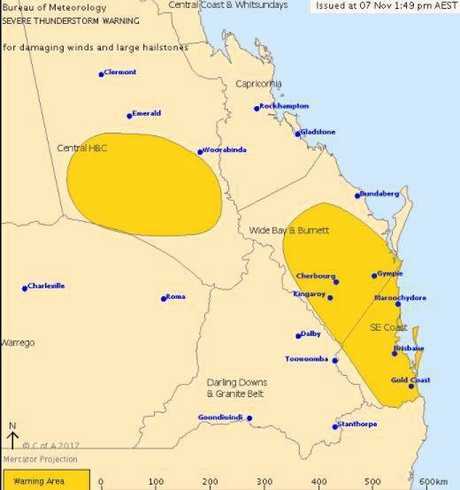 2.30PM: SEVERE thunderstorms threaten Central Queensland with two troughs on a trajectory towards Rockhampton. 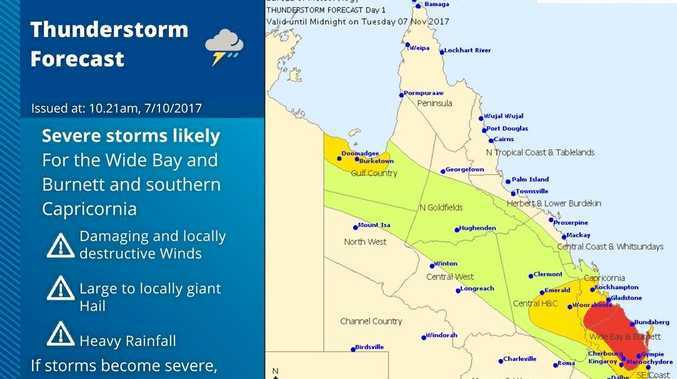 Wind gusts above 90kmh are possible in the district this afternoon, teamed with hail and isolated heavy rainfalls, according to meteorologist Lauren Pattie. The BOM have issued a severe weather warning for an area which spans south-west of Emerald and across the Carnarvon National Park south of Woorabinda. That inland tough is likely to combine with a coastal trough sitting over the south-east, below the Gold Coast and north to inland from Bundaberg. As of 2pm, Ms Pattie said radar and satellite imagery indicated no storm cells threatened the area within the next hour or so, but there was potential for storms to start to develop from now. 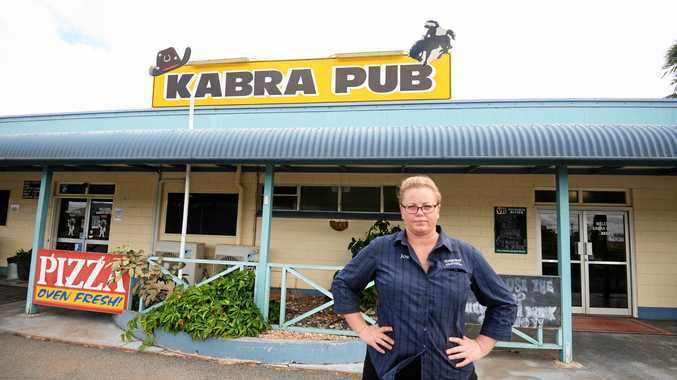 "They've started a bit further south but you should see them in the next few hours... and continue to develop a bit further north,” Ms Pattie said, referring to Rockhampton. Ms Pattie said the storm cells are quite "isolated and discreet”, so while some places may experience falls in excess of 20-30mm, other areas "won't get much at all”. Heading into Wednesday, showers and storm activity is likely in the afternoon, to clear into the evening. The latter part of the week is likely to bring showers along the coast, but nothing "overly significant” towards the end of the week.